Overseas education is an inspired process that has enduring benefits throughout one's lifetime. High quality education extends the latent capacities of individuals and brings out their goals, expressions as well as ambitions. This adds additional value and assists in the growth and improvement of the society. The education system in Australia emphasizes on offering qualities, knowledge, attitudes and skills for building a strong career for the future. Many people show interest to study in Australia, as it gives a unique and overwhelming experience. Australia’s education system is a standardized one and degree attained in Australian universities and educational institutions is recognized all over the world. The country’s education system encourages creative thinking as well as explores innovative ways of teaching. Many people deem that study in Australia is the best choice because of its exceptional structure and quality education. Alongside of lively and multicultural society, Australia also offers a perfect atmosphere for international students to have a secure life, while studying in Australia. 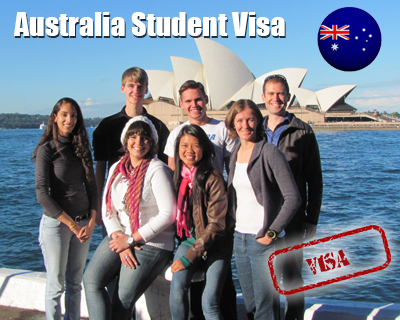 However, an overseas national must hold Australia student visa, prior to their arrival to the country. Australia Student visa is a short-term visas that enables overseas nationals to come to Australia for a certain period of time to study in Australian universities. Prior to applying for Australia student visa, individuals should accepted by a particular university or educational institution. Individuals should approach Department of Immigration and Border Protection (DIBP), before they apply for An Australian course in order to realize one’s Australia student visa eligibility. Individuals need to obtain Australia student visa, for the complete time they study in Australia. The student visa for Australia is categorized into different subclasses based on the type of study in which they registered. Individuals will be eligible to apply for Australia student visa only after receiving the letter of offer or a Confirmation of Enrolment (CoE) from the respective educational institute or university; however, individuals usually need to produce proof of CoE prior to their Australia student visa is granted. If the visa applicants are minors or below 18 years, then their parent or legal guardian can move to Australia by applying for consent to reside in Australia as a student parent or guardian on a Student Guardian Visa. The student guardians or parents can reside in Australia for the period of their child's course in Australia or until they turn 18. Some of the exceptional circumstances are also there, where a student above 18 years of age might require a guardian for cultural or religious reasons. However, there exist certain requirements that have to be fulfilled in order to obtain Student Guardian Visa. Individuals who are interested to study to Australia must check their eligibility criteria and requirements for successful Australia student visa approval.